On Sale Now! 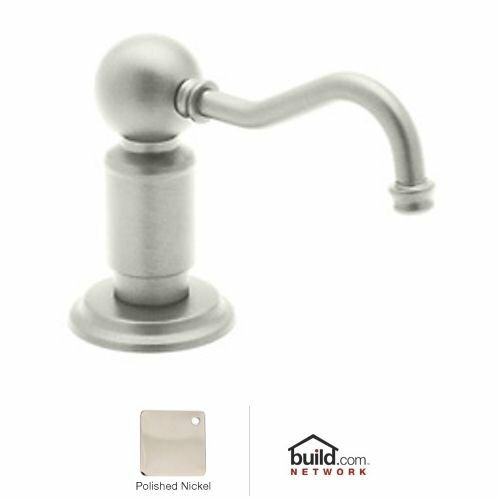 Save 3% on the Rohl LS850PPN Luxury Soap/Lotion Dispenser with One Touch System to Match Perrin and Rowe, Polished Nickel by Rohl at The Synthesizer. MPN: LS850PPN. Hurry! Limited time offer. Offer valid only while supplies last. LS850PPN Finish: Polished Nickel Features: -Top fill. -Extra strong pump for reliable operation. Product Type: -Soap Dispensers. Material: -Brass. LS850PPN Finish: Polished Nickel Features: -Top fill. -Extra strong pump for reliable operation. Product Type: -Soap Dispensers. Material: -Brass. Dimensions: Overall Height - Top to Bottom: -3.5". Overall Width - Side to Side: -2". Overall Depth - Front to Back: -5".